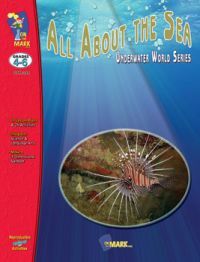 Description: Explore the depths of the sea and implement the ideas and activities in this field-tested language arts resource into your classroom. Teach about the Majestic Tall Ships, Unusual Fish, Buried Treasure, the Lure of the Sea, Sea-sational Poetry, Mermaid Magic, a Whale of a Time, Life on the Coral Reef, Sea Chanteys and much more. 19 lesson plans and 26 creative cards, 98 pages. Companion Product: Sea Creatures Picture Collection.